I am referring to this message as it is about a top educational institution whose alumni are believed to be the best brains of the country. When I opened the link (www.gitasupersite.iitk.ac.in/srimad), I found that the message was largely true. 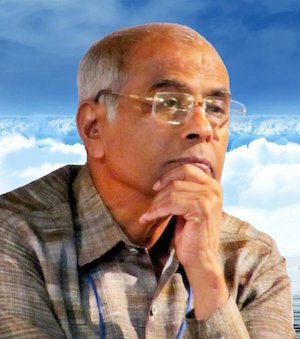 Dr Narendra Dabholkar was the founder president of Maharashtra Andhvishwas Nirmulan Samiti and editor of Sadhna. He was a rationalist. A Marathi writer, Dabholkar was also a big name in literature. He was at the forefront in the movements launched in Maharashtra against superstitious and abominable practices like human sacrifice, exorcism and black magic. He had to face the ire of many “Hindu nationalist” organizations before being shot dead by unidentified assailants in Pune in broad daylight. The untiring efforts of Dr Dabholkar led to the Maharashtra government tabling in the assembly a bill prohibiting the practice of exorcism and black magic. He had been campaigning for this law for the last 16 years of his life. The Dabholkar-led Andhashraddha Nirmulan Samiti was working for changing the mindset of the people and promoting scientific thinking. The only silver lining is that after his martyrdom, the Maharashtra Assembly passed the Anti-Blind Faith Bill. He was conferred with Padmashree posthumously in 2014. One has to wait and see how long it takes other state governments to formulate similar laws. 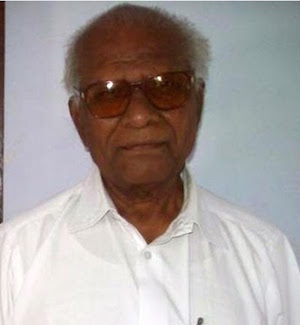 One of the seniormost members of the Communist Party of India, Govind Pansare had launched an intensive campaign against superstitions and blind faith. Pansare was an ideological warrior. He had written around 21 books, the most famous of which was on the Maharashtra icon Chhatrapati Shivaji. The book, titled Shivaji Kaun Hota (Who was Shivaji), exposed the falsehoods and half-truths about the Maratha warrior that are being bandied about by the saffron brotherhood. It is said that this book sold more than a lakh copies. He was slain by unidentified gunmen in Kolhapur. After his murder, the Maharashtra Chief Minister Devendra Phadnavis admitted that not only reactionary forces but the entire system was responsible for the tragic end of Pansare. He was also an anti-communalism crusader and, like Dabholkar, was raising public awareness of superstitions in Maharashtra. Both the murders have left a challenge for the so-called progressives. Noted thinker, former vice-chancellor of Hampi University and a committed campaigner against superstitions and idol worship, 77-year-old M.M. 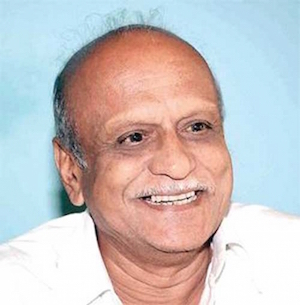 Kalburgi stood for social and religious equality. His scholarship was undisputed and so were his credentials as a researcher. He was known for calling a spade a spade and had run into controversies because of it. He had won national and state Sahitya Akademi Awards. Kulbargi fell to the bullets of unknown assailants at his home in Dharwad, Karnataka, on the morning of 30 August 2015. According to the police, he was fired upon at 8:40am and he died while being taken to a hospital. We seem to have reached a juncture where bullets – and not arguments and logic – are fast becoming the means of settling differences. The Bajrang Dal justified the killing of Kalburgi and threatened that others who speak against the Hindu religion would meet the same fate. Although the man who issued the threat has been arrested, the murderers are still at large. Dr Narendra Naik hails from Goa but he chose Karnataka to launch his anti-superstition campaign. He quit his job as a professor in a medical college and devoted himself to introducing science to the common man and to making them aware of the dangers of superstitious and blind faith. Naik is taking forward the legacy of Dr Narendra Dabholkar. He is the president of Bharatiya Tarksheel Samaj. He has produced special programmes on superstition for many Indian TV channels as well as the Discovery Channel. He knows 16 languages and travels the world over to present his programmes. His life is also in danger. He has recently exposed a racket called “Mid Brain Activation”. A former member of the Bihar Minorities Commission and Science for Society, Patna-based Bhante Buddha Prakash has launched a national anti-superstition campaign. This campaign, which he has named “Andhvishwas Bhagao, Desh Bachao” (Get rid of supersition and save the country), has taken him to different states in the last several years. Whenever he gets to know of any woman being branded a “dayan” or of any other crime born of superstition, he reaches the place and interacts with the people to ensure that the incident is not repeated. 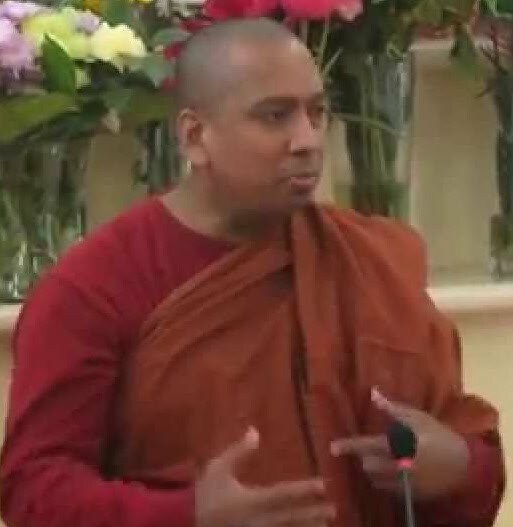 Bhante Buddha Prakash says that Ojhas, Baigas and Bhagats (witch doctors) are the ones who first brand a woman as a “dayan”, and others believe them. He says that only a disease or an accident can kill a person, not any ghost or spirit. He says that superstitious beliefs have been holding fort in the country for centuries and that they can be combated only by creating awareness among the people. The common man needs to be taught the basics of science, says Prakash, and they should believe in something only after testing it on the touchstone of logic. It is both ironic and tragic that despite India being a democratic country, those who stand for logic, reason and scientific thinking are finding themselves increasingly beleaguered. In fact, the sword is hanging over all writers, journalists and scientists who don’t kneel down to irrational religious beliefs, who are committed to truth and who want to caution people against falling prey to superstitious beliefs and blind faith. 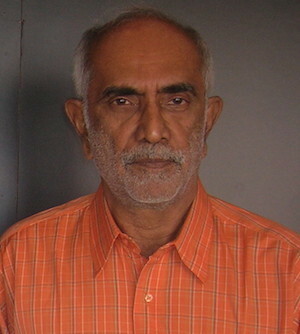 Senior litterateur Uday Prakash has returned his Sahitya Akademi Award in protest against Kalburgi’s murder. These writers – Ambedkarites, truth-seekers and worshippers of logic – have dug in their heels. They know that they are in the thick of a decisive battle against blind faith. A similar battle was fought in Europe in the 7th century, and it taught the people to differentiate between religion and science. Then began a new era in Europe – an age of discoveries and inventions, an age that opened new vistas of knowledge.